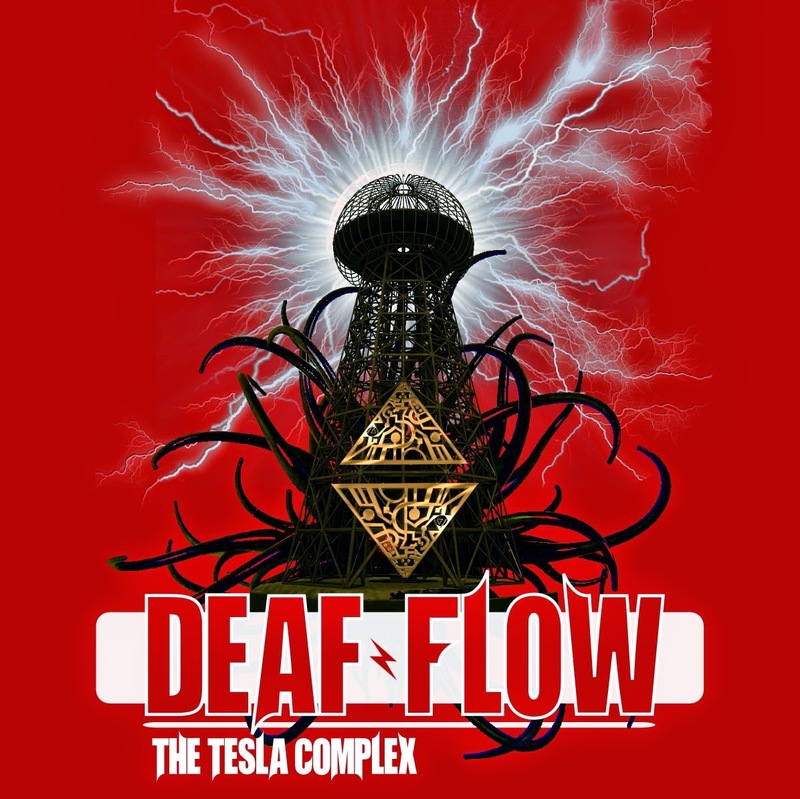 Deaf Flow are three guys from Germany that put down heavy tracks of Grunge and Stoner influenced Hard Rock. While a powerful, head on guitar riff is a common theme on the EP, not much else is. Seemingly with each song, you're presented with a slightly different take on what Heavy Rock can be today, from grungy Hard Rock tracks that could of been a hit back in the 90's to Stoner Rock jams that would have some of the most ardent Kyuss fans grooving along. Throw in some slightly spacey, but still hard hitting tracks that are kind of reminiscent of Monster Magnet and an undeniable Queen of the Stone Age vibe from start to finish, and you start to get an idea of the kind of trip you're in for upon pressing play. The first time I listened to it, before I even decided to review it, I got to the second track "Release the Kraken" and I think it got played three times in a row before I ever let the next track finally play. Opening up with thunderous, bellowing drums and a rumbling bass riff, it doesn't take long for a screaming guitar tone to make its grand debut and start jamming. The vocals open up with some QotSA-esqe harmonizing before dropping off into a dirt road styled vocal performance, more along the lines of Orange Goblin, in addition to all of that, you have a cleaner, more melodic dose of vocals thrown into the mix. It's just a jammin' rock song that pounds forward from the moment it starts, never missing a beat. And while this is more akin to a heavy Stoner Rock song, as soon as the track changes you're met with a completely different beast in "Black Mountain", sounding as large as a mountain, it really opens everything up and the spacey sort of vocals helps to project that feeling of immensity even further. You still get your fix of heaviness with a ripping solo towards the end of the track though, always a welcome addition to a song. You can check out these and the other four stellar tracks on the EP at their bandcamp. I don't think these guys are to be slept on.